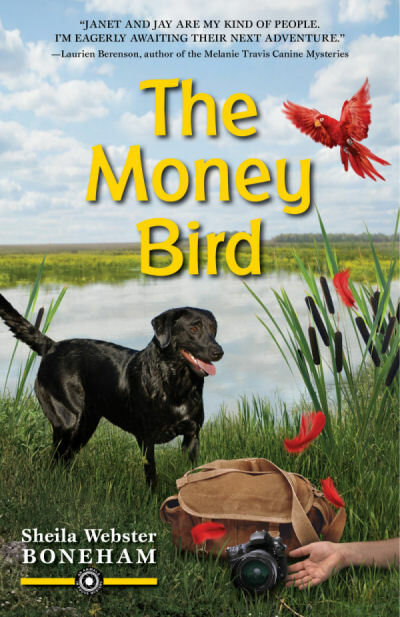 I've just wrapped up the third week of my blog tour celebrating release of The Money Bird, Animals in Focus Mystery #2, which is now available. 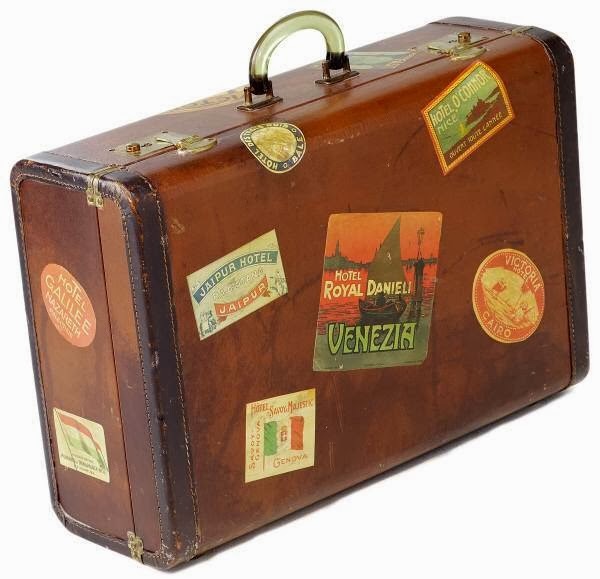 First off, a BIG THANK YOU to Lori Caswell, who arranged this tour through her Great Escapes Virtual Book Tours. Lori, you have been terrific to work with, and I know how hard you work, to thank you again! Check out Great Escapes - all kinds of wonderful books and interesting authors just waiting there for you! Enormous thanks, too, to the blog owners who hosted me, reviewed my book, and otherwise helped me (and many other authors!) spread the word about the books. As a blogger myself, I understand the work involved, and am grateful for the opportunities. 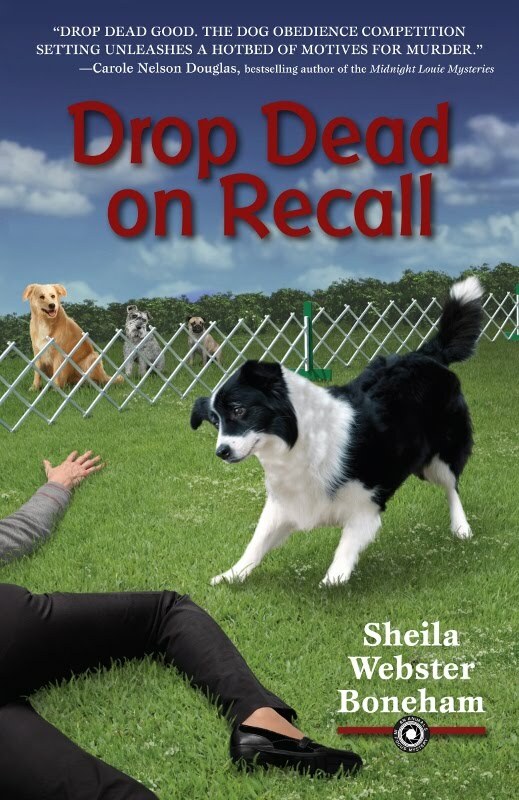 The Money Bird rejoins animal photographer Janet MacPhail, her Australian Shepherd Jay, and her orange tabby Leo, who got their start as amateur sleuths last year in Drop Dead on Recall. You can learn more about the books on my Mysteries Page. They are both available from your local bookseller and online in paperback, and ebook and Audible.com editions. (DropDead on Recall is also available in large print. If you would like an autographed copy of any of my books for yourself or to give as gifts, you can order one from Pomegranate Books. I'll be giving away three books! Check it out at the blogs listed below (click the blog titles - the links are live) or on Great Escapes Virtual Book Tours. Do it NOW! September 15 - Brooke Blogs - review - "The Money Bird was a great way to spend my Saturday…even if it meant frozen lasagna for dinner." September 17 - The Self-Taught Cook - do not go to this site hungry! Yummy! September 18 - Escape with Dollycas Into a Good Book - review and my guest post about the animals in the mysteries. "[THE MONEY BIRD] is a very engaging story....It can be read as a stand alone but I suggest reading DROP DEAD ON RECALL first. Both stories will leave you barking for more!!" September 19 - Musings and Ramblings - my guest post (with a little help from Janet!) on traveling safely and happily with pets. September 20 - A Chick Who Reads - review - "This is definitely a must read book and a must read series to follow." - 5 Flowers - Superb! And although this stop was not part of my Great Escapes Tour, I also visited Christy English's blog on the 17th to talk about the about the romance thread in my mysteries, whose main characters have passed the half-C mark. Because let's face it - love can be murder at any age! And here's where we were the week before that. My books are available in print & ebook formats from the usual sources, including Audible if you like to listen. 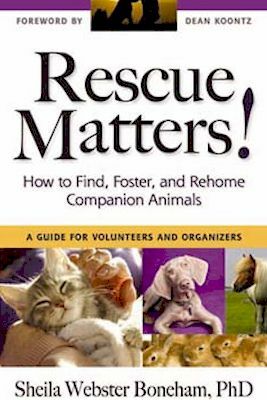 If you would like a personally autographed copy of any of my mysteries, or my nonfiction book Rescue Matters!, you can order here.